for Mario Kart Wii what medium character do you prefer? 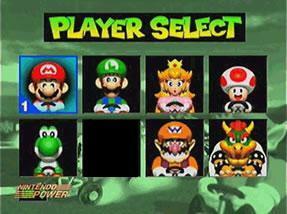 Choose a Character for the susunod Mario kart series! What is your paborito course in Mario Kart 64? Do you think that there should be Another DLC after the Animal Crossing characters ? What are your tuktok 5 characters in Mario Kart 8? What character is you apparent paborito in Mario Kart 8? They should have quick race so you can just pick one track an then pick another person, kart, drift and track. Pick any of the tracks you unlocked. Last time I sinabi Ghost Valley 1 should be in it. So if you pick it, a big boo will chase you. Every lap they get a little faster. You can set the speed at the beginning, 1-15. Here are some new and old items that should be in the game and the place you would get it. Attention All Mario Kart 7 Holders! A New Community Will Be Opened To All Of You! Come And Race In The Mirror Cup! Right Is Left! Left Is Right And Vice Versa! This Cup Will Really Test Your Skills As A Racer! To Make It Even madami Challenging, You Will Not Receive Any Help From Item Boxes! This Will Be A Test Of Pure Skill! I Promise You'll Enjoy It So Much That You'll Want To Tell Your mga kaibigan About It! So Come One Come All! ipakita Everyone That You Are Truly A Skilled Racer! in order for me to know whats yours sa pamamagitan ng going to artikulo type:review.Mario kart wii is an kart racing action game i think.Hope to see you online!!! !please tell me yours too in order to play against me!! !oh yeah and comment your mario kart wii friend code!!! a comment was made to the poll: What is your paborito course in Mario Kart 64? a comment was made to the poll: Do You Prefer Handheld or The Console Mario Kart Video Games? a poll ay idinagdag: Do You Prefer Handheld or The Console Mario Kart Video Games? Which character was originally in Mario Kart 64, but was replaced sa pamamagitan ng Donkey Kong?